I am a hospice chaplain. I provide spiritual care to the dying and their families. I do this by being present with them. I listen to their fears, worries, joys, concerns, and regrets. I listen carefully to what is said, and attend thoughtfully to what is not said. I totally get it. In fact, years before doing this work, I remember reacting to a hospice volunteer in a very similar way. I was terrified of death. I didn’t like thinking about it or talking about it. I certainly never thought I’d spend my days comforting the dying. What I didn’t understand back then was that the dying wasn’t another species. They are beautiful and courageous human beings who don’t stop living just because they’re dying. They are no different from the rest of us, except that they are more keenly aware of the preciousness of their time on earth. To my surprise, spending time with the dying has taught me a number of important lessons about living. 1. It’s not too late. Most people who offer lessons from the dying often say, “Don’t wait.” Of course, I can testify that I have also learned this from the dying. I’ve had patients tell me that they wished they had pursued things they’ve always wanted to do. These conversations can be heartbreaking. But I’ve also journeyed with others who have taken up new interests as they were dying. One patient started painting as a way to process her feelings and emotions about dying. Self-taught, she discovered she had a knack for it and soon was creating beautiful works of art to share with family and friends. What these incredible examples have taught me is this: It’s not too late. Though I fully resonate with the advice, “Don’t wait,” the problem is that many people believe they’ve already waited too long and that it’s already too late. They believe it’s too late to start a hobby, career, or pursue a lifelong dream. They believe it’s too late to mend a broken relationship or start a new one. If there’s something you’ve been putting off for months or years, the advice “Don’t wait” is sound. If you feel like your time has passed, know that as long as you’re breathing, it’s not too late. 2. It’s okay to not have all the answers. We place so much pressure on ourselves to be know-it-alls. Most patients aren’t expecting me to give them the answers to these questions. They simply need someone to hold space for them to wrestle with their deepest hopes and concerns. And when it comes to dying, no one’s an expert. I remember sitting with a highly intelligent person whose career required him to have many answers. During one of our visits, he admitted to me that he was not an expert at dying and he’s just as scared as everyone else. He too was wrestling with the same questions we all must wrestle with at some point. There’s something incredibly freeing about dropping the know-it-all act. Rather than using our knowledge and intelligence to gain a sense of superiority over others, we can share in our common humanity. 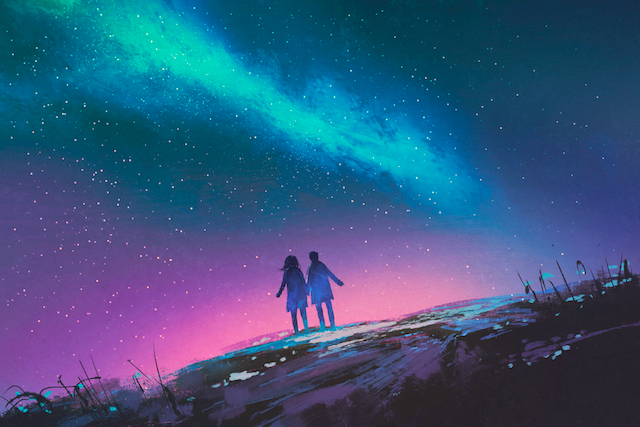 We can feel safe to admit to one another, “I don’t know.” Dropping the act deepens connection and intimacy between people. I once had a patient who during our first visits expressed that he was okay with dying. He lived life the best he could and felt at peace with his life. But as his health declined, it was clear that he was not okay with dying. He was young, had kids at home, and felt like there were things still left for him to do. He became increasingly anxious about the dying process. During one of our meetings after having wrestled with his change in disposition, he concluded, “I realized that I need to be okay with not being okay.” Paradoxically, facing his discomfort with dying helped him manage his fears and even brought him to a deeper level of peace. So many of us spend our energy convincing ourselves and the world that things are okay when they’re not. We carefully curate our social media channels so only the highlights are featured. We love the idea of controlling the narrative our lives. When we do this, we’re denying ourselves the opportunity for personal growth that begins when we can look ourselves in the mirror and just admit that we’re not okay. Contemplating one’s own death can be challenging and scary, but it doesn’t have to be. The lessons I’ve learned from the dying have helped me appreciate life more. It’s helped change my perspective on what’s important and what’s not. It’s helped me to make better decisions. I can’t say I’m fully over my fears of dying, but I am more comfortable contemplating it. And I’m grateful for the lessons I’ve learned so far and for the lessons I’m yet to learn. How might contemplating your death help you live better? The post 3 Things the Dying Taught Me About Living Well appeared first on Tiny Buddha. Previous 12 Steps: a spiritual journey or a religious cult?